Take your marketing campaign to the next level with personalized promotional accessories and gifts for any setting with Sutter’s Mill Specialties selection of custom-branded supplies. We have high-quality, laser-engraved choices for any client or employee – tools, desk accessories, beverage supplies, jewelry, travel items, and imprinted golf products. 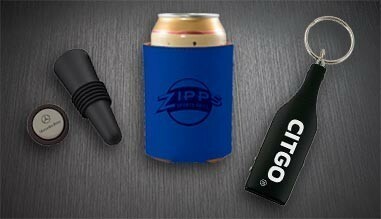 No matter who your target audience is, we have the promotional accessories that are sure to impress them. Looking for a unique promotional product or gift for your employees and clients? Check out these personalized tools from Sutter’s Mill Specialties. 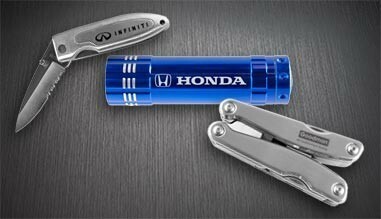 We have a collection of pocket knives, multi tools, and pocket flashlights, in a variety of sizes and colors, and of course, all precisely laser-engraved with your logo. Remind your customers and employees of the quality of your company every day with a custom-branded desk accessory from Sutter’s Mill Specialties. No matter the person or occasion, this collection has the perfect corporate gift for you – business card holders, desk clocks, picture frames, letter openers, and much more, made with high-quality metals, wood, and leather. And with your brand imprinted on every item, these promotional desk accessories will serve as great conversation starters. Enjoy a dinner party or game day in style with personalized beverage accessories from Sutter’s Mill Specialties. Choose from elegant, laser-engraved items like wine openers, wine stoppers, and leather drink coasters, or go bold with customized can koozies and pocket bottle openers. 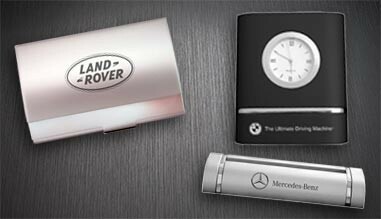 Each item is perfectly imprinted with your logo for a promotional product your clients will find irresistible. For a promotional item that is subtle and refined, consider a beautiful, personalized piece of jewelry from Sutter’s Mill Specialties. 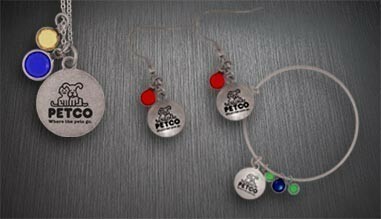 We have high-quality charm-style necklaces, bracelets, and earrings featuring a tasteful round charm engraved with your logo, or if you prefer a more classic piece, we offer necklaces with a custom-branded metal bar look, finished in gold or silver. Operating a successful business requires a lot of travel – you send sales teams out, industry conferences to attend, the list goes on. 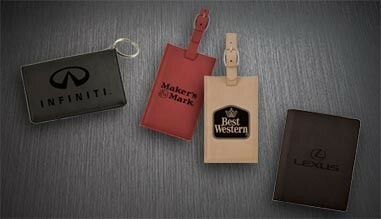 Turn a business trip into a promotional opportunity with customized travel accessories from Sutter’s Mill Specialties. 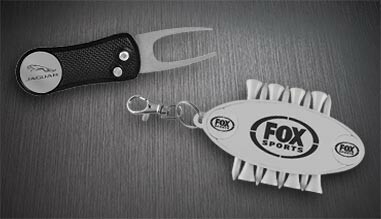 Our laser-engraved luggage tags, money clips, and passport and ID holders are made from high-quality metals and durable leather and velour, and perfectly accent your highly-visible logo, no matter where the road takes you. Golf has always been the perfect activity for blending business and pleasure, and now you can add savvy marketing to the mix with custom-branded golf products and accessories from Sutter’s Mill Specialties. From personalized golf tees and divot repair tools to imprinted golf bags and fully-playable laser-engraved drivers and gold-plated putters, we have the quality golf items that will promote your brand both on and off the course.